When it comes to small business cyber security, you could be doing everything right, but it just takes one wrong click from a well-meaning employee to undo all your hard work. Here’s what to cover during business cyber security training for your team. One of the most overlooked steps to small business cyber security is employee education. Cyber criminals are stepping up their game and increasingly targeting small businesses. Every employer must find the time to educate its team members about digital safety. The global cost of cyber crime is projected to reach more than $2 trillion by 2019. It’s worth taking the time to provide thorough cyber security training to your employees. While doing so, make sure to include the following topics. Spear phishing is a more sophisticated form of phishing in which criminals target a particular victim rather than a wide audience. These emails often appear to be sent by legitimate sources, such as a colleague or trusted vendor, and are designed to trick the recipient into providing personal information, like a credit card number or password. Be skeptical every time they’re asked for personal information. Hover over links and email addresses to ensure target URL credibility. Refrain from downloading attachments unless they’ve verified the sender. Ask you or your outsourced IT services provider for help when in doubt. Do not use the same password for everything. Do not use real words that can be found in the dictionary or obvious things like the name of your business. Use a combination of numbers, uppercase and lowercase letters, and symbols. Change passwords on a regular schedule. It’s easy to be lured into a false sense of security as you browse the web. It’s so familiar, and you may have been using it without incident for work and personal purposes for some time. Create guidelines for appropriate digital behavior. Seedy content breeds seedy behavior, so keep your employees off inappropriate sites at work. Teach employees that legitimate sites can have vulnerabilities. Install and maintain an enterprise-level firewall coupled with safeguards such as a subscription for content filtering and intrusion protection. Use anti-virus and anti-malware programs that include “safe search” features that help flag sites that have been compromised. Consider partnering with a managed IT services provider who can make sure your business implements these steps correctly. These tips are just the beginning. Cyber security training for every employee, even administration and management, proves itself to be invaluable in the event of a potential threat. For more information on what your employees need to know about small business cyber security, including what to do when they click a link they shouldn’t have, check out An Employee’s Guide to Preventing Business Cyber Crime. Anderson Technologies is a St. Louis IT consulting company that can help your small business educate its employees about effective cyber security practices. For more information on our cyber security training services, call 314.394.3001 today. The right web development partner can help bring your vision to life and show you ways to make it better. A company website is an important representation of your business and a mark of credibility. It’s a resource for potential clients who want to learn more about your offerings and a way to generate new leads and sales, thanks to the power of search engine optimization (SEO). But creating a small business website is not without challenges. It can be time-consuming, costly, and frustrating. If you do not properly optimize your web design and backend configurations, you could create an exasperating experience for your users and limit your organic traffic. With the right partner and strong communication, you can build a digital presence that does your small business justice and even have a little fun along the way. Just ask Bruce Honts, division manager at Missouri Valley Environmental of Texas, a full-service industrial water treatment company. When Honts and his team connect with potential clients, they want those prospects to be able to go online to learn more. He knew his business needed help developing a “robust” website that could confirm its legitimacy and create a digital footprint. “Our goals were to show the professional nature of our business and to explain our capabilities,” he said. Honts was referred to Anderson Technologies, a St. Louis IT consulting company that provides full-service web design and web development, as well as other services. Honts came to the table prepared with a clear idea of what he wanted but also with an openness to expert insight and an eagerness to learn about web development best practices. Honts described the web development process as easy and almost too much fun. “It was hard to go back to my regular work when the project was over,” he joked. To make sure your small business website development process goes smoothly, Honts recommends providing details on what you want, including screenshots and images to illustrate your intent, but also trusting the expert’s input. Strong communication is also critical to an effective partnership. Just as you should strive to clearly articulate goals and preferences, your web development partner should be prepared to share constructive feedback on an ongoing basis. This open dialog will help ensure you produce the best small business website possible. For the development team, one of the greatest testaments to a job well done is a referral. 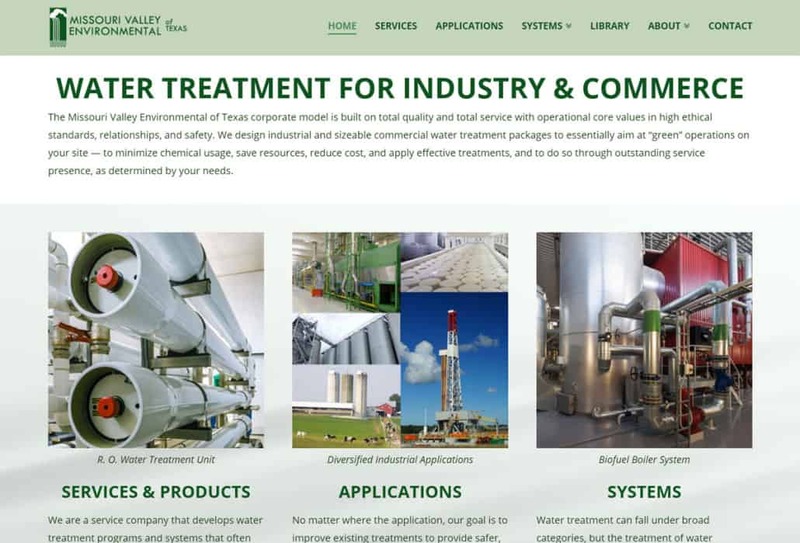 Missouri Valley Environmental of Texas is a division of AECSI Corporation, and after seeing the new website, AECSI Corporation reached out to Anderson Technologies to discuss a partnership. 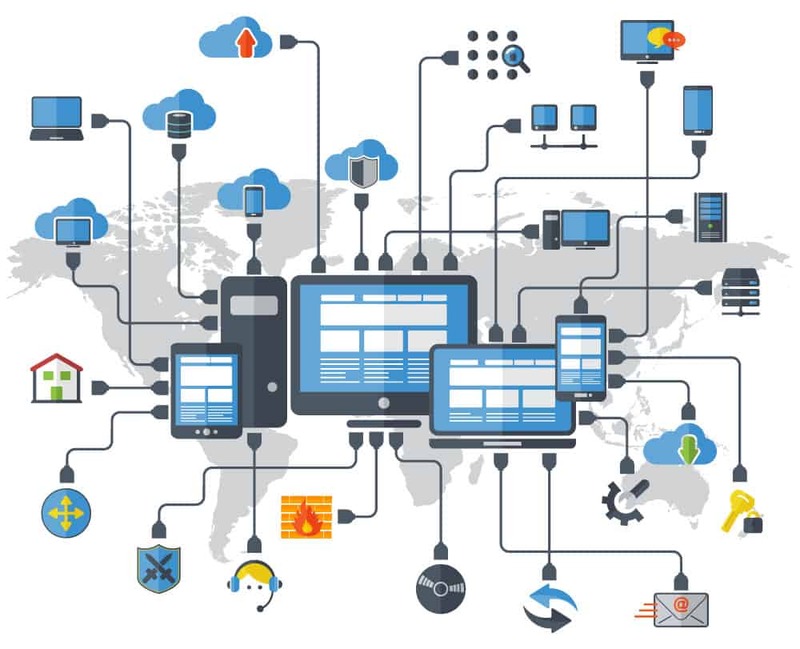 Anderson Technologies is a St. Louis IT consulting company that offers a breadth of services, from managed IT to web development, web hosting, and ongoing web support. If you are looking for a professional (and fun!) small business web development partner, call Anderson Technologies at 314.394.3001 today.